Nine members of the National Youth Service Corps (NYSC) who are currently serving in Taraba State on Saturday drowned in River Mayo-Selbe in Gashaka Local government Area of the state. Taraba State Police Police Public Relations Officer, ASP David Missal, who confirmed the death of nine out of the 22 corps members who were swimming in River Mayo-Selbe, said seven bodies have so far been recovered from the incident. Nine of them drowned, while others managed to escape. We have so far recovered seven bodies, while the search for the two remaining is still in progress,” Missal said. “It is a very sad development and we would soon have the identity of all the corps members involved in the accident and make such information known appropriately. We have very sketchy information indicating that nine of our corps members drowned in Gashaka yesterday. This is a very sad development and the entire NYSC family in Taraba State is already thrown into deep mourning,” she said. 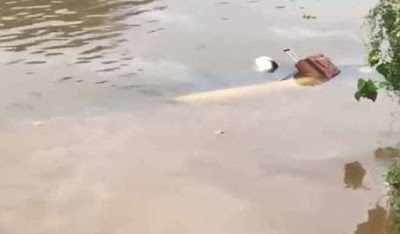 This incident is coming exactly three months after Mr. Ojeshola Taofeek, a member of the NYSC who just passed out from service, drowned in Nembe River in the Nembe Local Government Area of Bayelsa State. The tragic incident occurred when the deceased, who hailed from Osun State, went to the Ogbolomabiri jetty to take pictures of the waterside as part of his fun memories during his service. It was reported that Taofeek was preparing to go home after completing a skill acquisition training on tailoring, which he started for self-development, before his demise. According to a source, the demise had collected his vocational certificate on tailoring two days before the unfortunate incident. “This corps member passed out among the recent set this year. He bought crayfish from my neighbour in preparation to return home joyfully. Unfortunately, he accompanied his colleagues to a waterfront (Jetty). He set himself at the edge of the jetty to take a photograph possibly with the aim of uploading on Facebook or to show his people when he gets home on how he had safely ended his service in the riverine area. He fell into the river as the steps were slippery. Indigenes rushed to the scene having heard the sorrowful shouting for help. They searched for him more than 30 minutes before he was finally found.